Make Mom’s day with these simply stunning Mother’s Day gift-wrapping ideas. Watch our video tutorials for 3 easy ways to wrap a pretty present for her. Wow Mom with some flower power. Just add stickers and a tissue paper topper for a cute way to brighten her day. 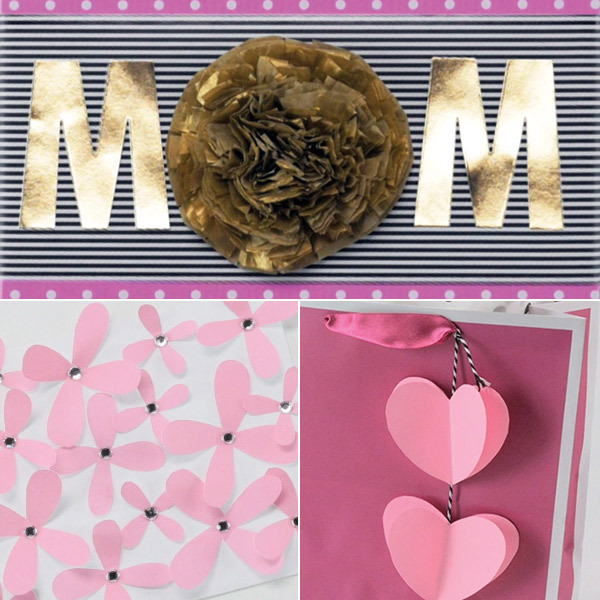 Decorate her Mother’s Day card with a burst of blooms. Freehand your own cut paper flowers or download our free petal printables, then top with sparkly embellishments. Tug on her heartstrings with this simple gift bag decoration. A little baker’s twine and paper hearts are all you’ll need to achieve Mother’s Day gift-wrapping greatness.